Obituary for Brannen Gus Temple, Sr. | King-Tears Mortuary, Inc.
Brannen Gus “Temp”Temple, Sr., firstborn child of Zebedee and Willie Mae (Underwood) Temple, was born May 27, 1934 in Stilson, Georgia. His parents, three brothers, and two sisters preceded him in death. His family moved to New Jersey then to Bronx, New York, where he spent his formative years. He attended public schools and concluded his formal education at Samuel Gompers High School. Baeeball great Jackie Robinson and Robert “Bob” Downs, an HT alum who saw him playing baseball, told him about this school down in Austin, Texas and offered him an athletic scholarship. He came to Texas in the Fall of 1954 and enrolled in Huston- Tillotson College. He lettered in basketball (his primary sport), baseball and track and field. Temp played on the Varsity Basketball team and was team captain, earning the Lonnie Bell Outstanding Athlete award. He loved to win. His loyalty and devotion to Huston-Tillotson remained and he continued to hold the college in the highest esteem. Quote, “It was the bridge that brought me over from a kid who grew up in New York City and had no hope of going to college.” He loved HTC. Brannen was an active part of campus life and in 1955 pledged and became a member of the Alpha Phi Alpha Fraternity, Inc.,Delta Chapter. He always wore his gold class ring with the ruby red stone inscribed with the fraternity’s letters, proudly. He loved his fraternity. In 1963, Brannen earned his Bachelor of Science in Health and Physical Education degree with a minor in Biology. After college, he continued to study in these subject areas, being interested in the health and well being of himself and others. His interest in physical health became a lifelong study of alternative medicines, herbs and medical information. He loved learning. Temp’s teaching/coaching career began at Aycock High School in Rockdale, Texas where he served for two years as head basketball coach, assistant coach in football, track, and biology teacher. Prior to his arrival at Aycock, the basketball team had not won a game in two years. His team flourished under his leadership. In his first year at Aycock , their tournament victories and runner-up status put them in the top half of the district. His next assignment took him to Gary Job Corps Center for the next six years. In addition to his teaching duties, he was asked to start a driver education class. 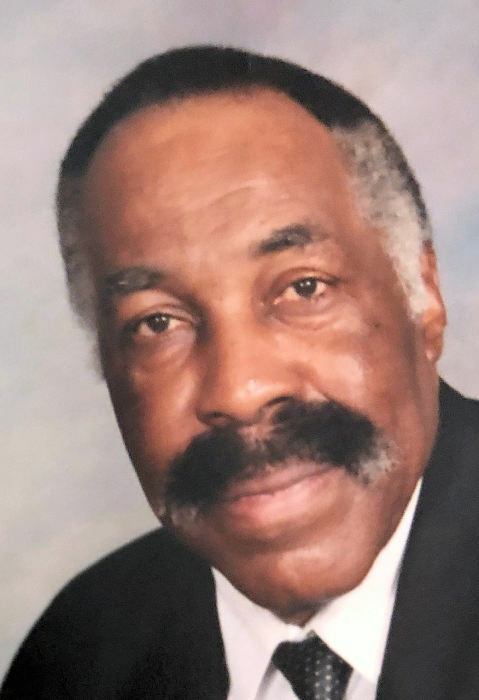 After earning his Certification in Driver Education from Southwest Texas State University in 1967, he went on to teach driver education in several Texas cities namely Killeen, Austin and San Marcos for over fifty years. His desire to help others led him to start his own business, Temp’s Defensive Driving School. Quote, “Use of knowledge is power”. Temp spent the last few years of his teaching career at Austin ISD elementary schools teaching Physical Education. During this time, he started the “Super Jumpers”, a special program in music and synchronized exercise. He was also the sponsor and founder of the Black Awareness Club at LBJ High School. He loved teaching. Temp’s desire to help others continued through his service to the elderly. He would frequently be seen around Austin driving them to their appointments and errands, on a weekly basis. Temp also stayed in close touch with his former HTU schoolmates in the declining years, especially the “Upstaters. He loved helping people. Temp received numerous awards and honors for community service and dedication to organizations of which he was a member. Some of his awards included Boy Scouts of America for Superior Dedication 1964. He was inducted into his beloved Huston- Tillotson College Athletic Hall of Fame in 1998. In 2007 he was inducted into the PVILCA Hall of Fame and in 2011 received the award for dedicated service and support to PVILCA. He continued to serve as a board member in the PVIL until his health failed. He was committed. Temp often used his quick wit, keen eye and athletic ability to beat his unwitting opponents in shooting pool and hoops. He also enjoyed attending sporting events and watching them on television at home with friends who came by. He enjoyed living. In 1956, he married Florence Hawkins, who preceded him in death, in 2014, after fifty seven years of marriage. He is survived by his children, grandchildren, great grandchildren, loving lifelong friends, cousins, nieces, nephews, and a host of many relatives and friends. He loved us. We loved him.